This use case describes Fresh Cloud File Server, an access solution that supports the BASIC use cases for online storage. As businesses migrate to online storage, they are faced with the challenge of providing an easy way for their employees to take full advantage without re-training or otherwise disrupting their existing workflow. In general, online cloud storage is designed for use by developers. For example, a business’ users can’t easily access Amazon S3 storage unless they acquire a third party access solution. They need a simple solution that provides familiar interfaces that can be used to leverage online storage for its most important use cases. For the purposes of security and control, many businesses also want the freedom to choose which cloud storage service they trust and use. There are many online storage solutions. Most focused on web browser based access but don’t provide desktop client with drive mapping capability. Re-training is required for the new user interface. Many provide PC client tools for Windows XP, Windows 7, Windows 8 and Mac but don’t provide file server access or file server sync. 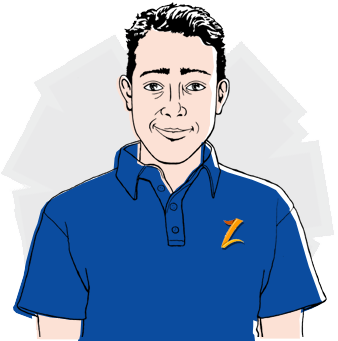 Almost all of the other online storage solutions are based on Amazon S3 under the hood, but don’t provide choices for additional online cloud storage services such as Google Cloud Storage, HP Cloud Storage, Rackspace Cloud Files, Windows Azure Blob Storage, OpenStack Swift Object Storage, Nirvanix, EMC Atmos and or Amazon S3 compatible services like Scality. Many will ask you to go to their web site to use the service but don’t provide self-host options with white-label capability. Compared to peer online storage solutions, Fresh Cloud File Server is quite unique by providing drive mapping random access; providing file server cloud storage gateway and server sync; providing the same solution integrated with many online cloud storage service providers; and even providing the self-host and white-label capabilities. Fresh Cloud File Server solves these problems with a flexible, multi-tiered architecture. This architecture allows any cloud storage service to be used with the Gladinet Cloud access infrastructure and provides support for multiple device types and file servers. The Fresh Cloud File Server access solution incorporates existing on-premise data with online storage in a hybrid access solution where you have the flexibility to keep some data on site while the rest is moved to the cloud. Content from multiple sites will be combined into a single, global namespace that can be uniformly accessed from any device in any location. You can select your trusted service provider first, such as HP Cloud or Windows Azure, before you put the online storage solution together for your company. You can also ask your trusted service provider to deploy the Fresh Cloud File Server solution for you. Every business has information that is vital to its successful operation. This is true no matter what the size of the organization. In fact, there are many statistics which clearly indicate that data loss is a significant driver of business failures. These businesses not only need to backup essential information, they are faced with the challenge of dealing with more and more of it across many different types of devices. It is becoming increasingly difficult for IT professionals to manage the rising costs of managing their rapidly expanding data sets. 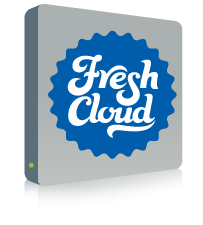 To address these issues, Fresh Cloud File Server provides the ability to attach an existing folder to online storage. The contents of an attached folder will be synchronized with online storage and will immediately become accessible for remote users. 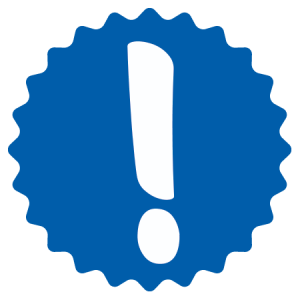 From the users’ perspective, it will appear that all content was instantly uploaded. This is in stark contrast to most online storage access services where files in a folder will not become accessible until they have been copied to cloud storage, and users have to wait while data is being copied from an on-premise location to online storage, where it will become available for access. The attached folder’s contents will be synchronized with the cloud and a versioned backup will be maintained for each file in the attached folder, but even before the initial synchronization is completed, the entire contents of the attached folder can be accessed anywhere by any of the Fresh Cloud File Server Team Clients. Once the initial synchronization has been completed, you have the option to remove the original server or continue to work in hybrid mode where the attached folder can be accessed through the on-premise file server or offsite with any device. In either case, changes that are made to the folder’s contents will be synchronized and restores can be performed from the versioned backup. Fresh Cloud File Server also provides a snapshot backup which supports the backup of open or locked files. Snapshot backups provide optimal efficiency since they only store the incremental changes once the initial snapshot has been stored. Perhaps the most basic challenge of online storage is how to provide access. Fundamentally, cloud storage services use primitive commands embedded in the HTTP protocol. These commands allow a developer to write programs that can interact with cloud storage but are not helpful for end users who need to access online storage using familiar paradigms like a drive letter on their desktop, or a file share on their network. Fresh Cloud File Server gives them the capability to access online storage from any device using native interfaces. Fresh Cloud File Server’s solution provides a mapped drive on PCs so that users can use familiar tools like Windows Explorer and Mac Finder to access files in their online storage. A big advantage of the Fresh Cloud File Server approach is that you can maintain your existing file tree hierarchy – unlike other solutions which require your existing directory structure to be refactored to a special folder. MappedDriveFresh Cloud File Server provides mobile applications for any iOS, Android device or WIndows 8 phone. Once installed, these applications allow native mobile device access to the Fresh Cloud File Server. For example, on an iPhone, the Fresh Cloud File Server application can be downloaded from the Apple store, configured with a Fresh Cloud File Server user name and password (which could actually come from active directory) and then used for direct access to files in the Fresh Cloud File Server or on an on-premise file server. Fresh Cloud File Server provides several clients including Fresh File Server – Server Client which is specifically designed for file servers. This client allows a file server to act as an online storage gateway providing clientless access to online storage through network file shares. It also allows existing file shares to be attached to online storage for instant access. Fresh Cloud File Server can be accessed from any modern web browser, such as IE, Chrome, Firefox, Safari and Opera. An explorer-like interface is provided and files can be dragged directly into the browser. 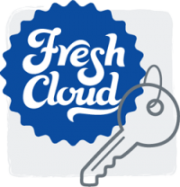 Fresh Cloud File Server allows an organization to provide simple, secure access to online storage for all their backup, synchronization and collaboration needs. With the Fresh Cloud File Server solution, users can continue to use familiar paradigms like mapped drives, file shares and applications on their mobile devices to leverage online storage. As mentioned above, the contents of an attached folder will be synchronized with online storage and will immediately become accessible for remote users. Users are also provided with the ability to share a file or folder with anyone. Secure online collaboration is made possible through Fresh Cloud FIle Server’s tight integration with Active Directory. Any Fresh Cloud File Server instance can be used as a proxy by the Fresh Cloud File Server infrastructure to automatically sync user information from Active Directory. The user information is used to control authorization and access to shared content like team folders. Administrators can create shared workspaces with access controls using Team Folders in Fresh Cloud File Server. Once published by the administrator, a team folder will become accessible by every account user who has been granted access. Any folder in the Fresh Cloud FIle Server can be published as a team folder. This makes it possible to attach an existing folder on an on-premise file server to Fresh Cloud File Server, and then publish it as a team folder. With Fresh Cloud File Server’s AD integration, a user can therefore login to the Fresh Cloud File Server with his existing Active Directory credentials, and then access the team folder remotely from a desktop, laptop or mobile device. And any changes made to the contents of the team folder will be protected by distributed file locking and synchronized across all locations.